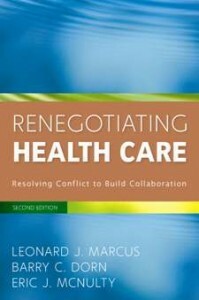 Download an Excerpt of the Second Edition of Renegotiating Health Care: RHC 2nd Ed Excerpt. 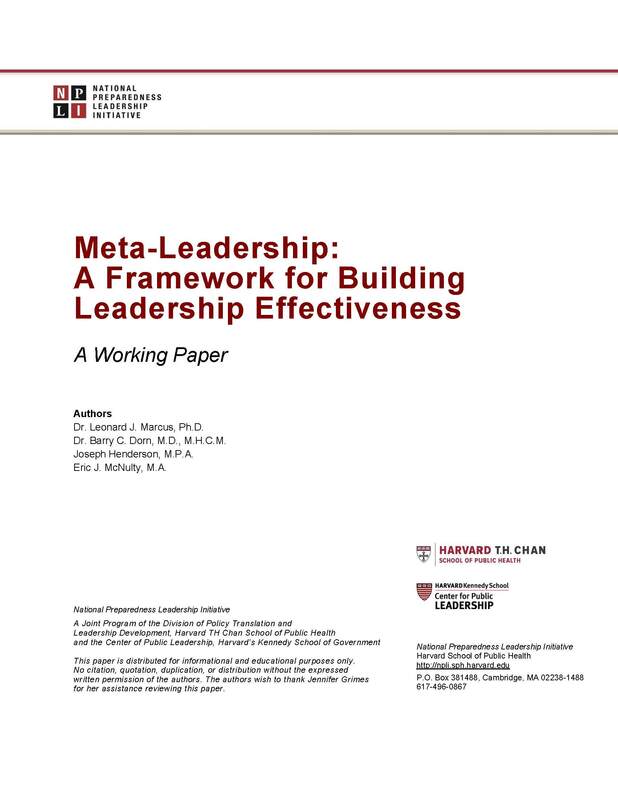 Meta-Leadership: A Framework for Building Leadership Effectiveness (Marcus, L., Dorn, B., Henderson, J. and McNulty, E.; National Preparedness Leadership Initiative, 2105). Large organizations and the work they accomplish are becoming less hierarchical and more reliant on complex and inter-dependent connections with other entities. Leading in such an environment requires expanded thinking and activity beyond one’s formal bounds of authority. Meta-leadership is a theoretically robust and pragmatically useful evidence-based framework and practice method for generating widespread influence and cohesive action that expands the leader’s domain of engagement, leverage, and efficacy. Download the PDF: Meta-leadership Overview Working Paper Final. 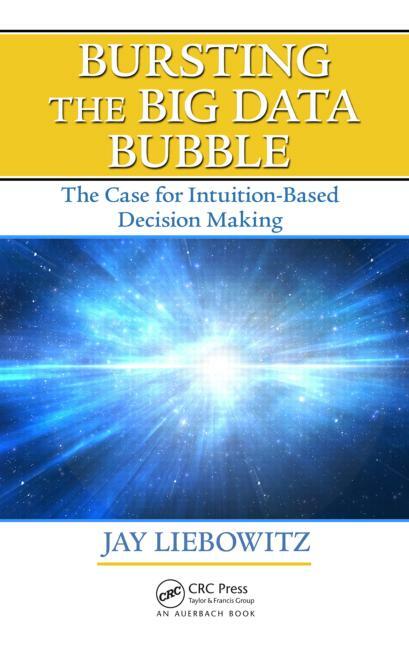 Intuition and Crisis Leadership (McNulty, E., Marcus, L., and Dorn, B.; In Bursting the Big Data Bubble: The Case for Intuition-based Decision Making, 2014). While data-driven analytical decision making is increasingly common, it is not always the best choice. This article explores when a leader is best-advised to rely on data and when he or she would be better served by relying on his or her gut instincts. 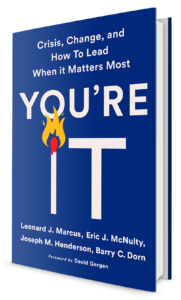 It uses a framework of known knowns, known unknowns, unknown unkowns, and unknown knowns as a frame to help leaders discern when gut instincts are likely to be most accurate. Drawing on recent neuroscience research, the authors that it is unknown knowns–that which is known but which cannot be identified as known–that inform the most reliable intuitive decisions. The Walk in the Woods (Marcus, L., Dorn, B., and McNulty, E.; Negotiation Journal, July 2012). In this article, we describe a method we have used successfully in both academic and professional settings to rapidly introduce novice negotiators to the principles and practice of interest-based negotiation: “the walk in the woods.” The walk incorporates much of the principles of interest-based negotiation: fostering self-awareness, cultivating curiosity, and understanding the importance of world view. The walk’s effectiveness is illustrated in this article using the case of the merger of two large, complex health-care organizations. 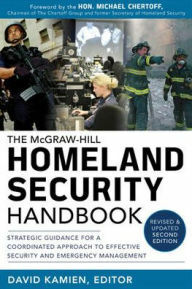 Crisis preparedness and crisis response: The meta-leadership model and method (Marcus, L., Dorn, B., Ashkenazi, I., Henderson, J., and McNulty, E; In The McGraw-Hill Homeland Security Handbook, McGraw-Hill, 2012). Leadership challenges are never greater than in the face of mass scale, complex, catastrophic disasters. In such chaotic, demanding circumstances there are leaders whose scope of thinking, capacity for unifying influence, and quality of timely performance make a meaningful difference. We call these people “Meta-Leaders.” During crises, these meta-leaders are able to marshal and engage action that is both comprehensive and cohesive – often far beyond their formal or expected bounds of authority or scope of command. They integrate and thereby leverage an extensive range of agencies, organizations, and people into formally and informally coordinated deliberate and decisive activity. 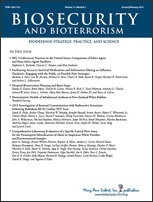 Meta-Leadership and National Preparedness Preparedness: A Model to Build Government Connectivity (Marcus, L., Dorn, B., and Henderson, J.; Biosecurity and Bioterrorism: Biodefense Strategy, Practice and Science, June 2006). 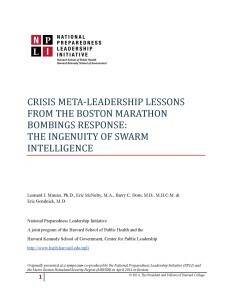 Effective emergency preparedness and response requires leadership that can accomplish perceptive coordination and communication amongst diverse agencies and sectors. Nevertheless, operating within their specified scope of authority, preparedness leaders in characteristic bureaucratic fashion often serve to bolster the profile and import of their own organization, thereby creating a silo effect that interferes with effective systemwide planning and response. This article describes a strategy to overcome traditional silo thinking: “meta-leadership,” overarching leadership that intentionally connects the purposes and work of different organizations or organizational units.